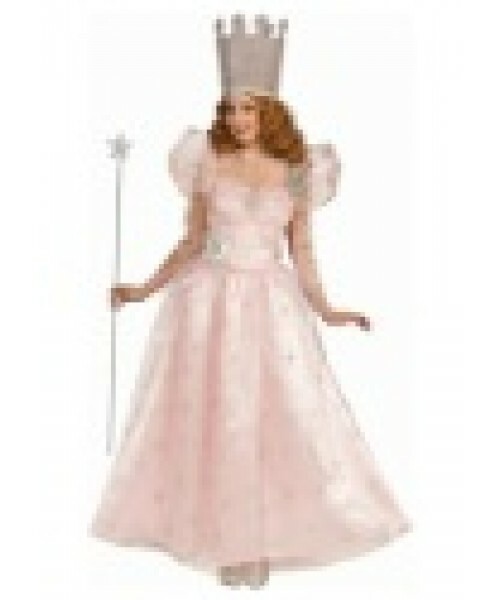 Wear this Plus Size Deluxe Gilnda the Good Witch Costume and you'll be all set to help Dorothy find her way back to Kansas! You'll be perfectly outfitted to reassure the Munchkins the the Witch of the East is most sincerely dead when you wear this Plus Size Adult Glinda the Good Witch Deluxe Costume. Give Dorothy the ruby slippers, and dispatch her on her journey to the Emerald City. You could just tell her the secret right away, but she wouldn't believe you anyway!